“Can my ERP integrate with Office 365?” The answer is yes! Whether you’re using Sage, Dynamics GP, NetSuite, or another leading ERP, and Office 365 ERP integration is one of the best ways to gain huge efficiencies and process improvement without breaking the bank. You don’t need to have a Microsoft accounting package or ERP system to take advantage of the new efficiencies and tools built into Office 365. Sure, there is a Dynamics flavor for just about everyone and Office 365 ERP integration is built right in (sort of); however, one will find that those of us using Sage, NetSuite, or other platforms can also take advantage of various methods of data exchange and integration. In fact, with the right consulting relationship, almost any ERP can share information with Microsoft Office 365 at some level. With tools available from the manufacturers and third party vendors, your consulting partner should be able bring you new functional conveniences that will make getting information out of the ERP and in front of the right person easier than ever. 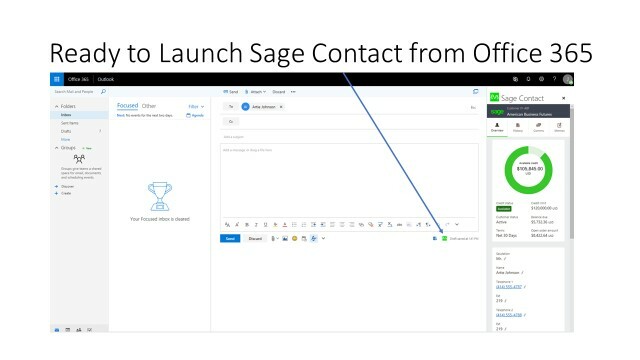 In this example, you can see how you can easily bring customer or vendor information from your ERP directly into Outlook or CRM contact records and visa-versa. With your Office 365 ERP integration, you can access the information you need form either system, regardless of what screen you are working from. 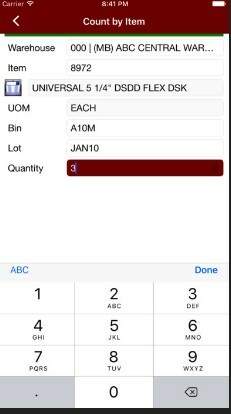 In the example below, I am querying an inventory item to check stock from a mobile phone. Switching apps or even devices to get the information you need means making your clients wait to get the information they need. Think of all the time and resources that your company can save by having all of your important data accessible where and when you need it. With an expert Office 365 ERP integration, your business has the power to improve workflow and ultimately, improve customer service! All for a cost that will provide a lasting, impactful return on investment. Have questions about integrating your ERP with Office 365? Get in touch with our Office 365 consultants to learn more.